Howard Brodsky, Chief Executive Officer of DavidBartonGym, formerly of Crunch Fitness International and New York Health and Racquet Club, has an extensive background in the fitness industry and a proven track record of brand-building and business expansion. 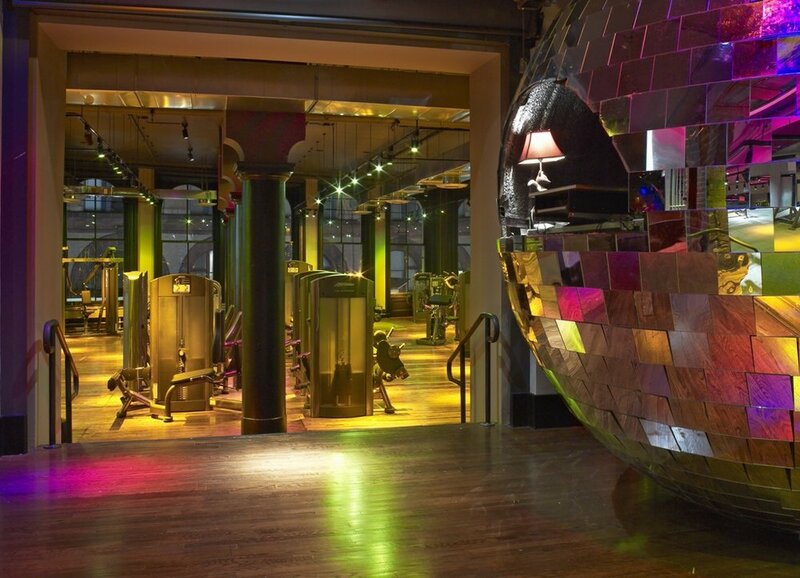 Within one year of joining the business, he has successfully opened an additional New York outpost of DavidBartonGym at Christopher Street in the historic Archive building, confirmed the relocation of DavidBartonGym’s Chelsea home to Limelight and plans to continue to build the business both nationally and internationally. While I was running the advertising department at Time Warner Cable, I got an interesting call from a company I didn't know much about in a completely different industry. I took a risk and joined Crunch Fitness in 1994 where I helped it get its groove at first and then explode the brand nationally for eight years. What marketing/branding strategies have you implemented which you find most successful? Without question, social media and promoting user generated content has been our most successful marketing strategy. The DavidBartonGym, and any brand for that matter, is best grown organically. Traditional print, online, and TV, etc simply does not offer the same return anymore as engaging with customers directly. Surrounding yourself with the best team that you can possibly put together. Listen to ideas from absolutely everyone from the maintenance staff, front desk to company directors. In the health club business, it’s a 365-day-per-year business and you simply cannot afford to allow business to slip for even one day. It’s about constant motivation. Much like a fitness regimen, to get results you have to put in the time. Live every day to the absolute fullest and try everything. My newest obsessions are learning to fly a helicopter and playing guitar. Life is simply too short. That's a very tough question, but if I absolutely had to pick I would choose pizza and coconut water. What is your daily fitness regime? I weight train at whichever city's DBGym location I'm visiting 4x per week with our expert trainers. I like to switch up who I train with as it keeps me (and them) on my toes and always challenging me. Recently I've just started Pilates which has been absolutely wonderful and changing my core strength tremendously. This fall will see the opening of The Limelight in New York's Chelsea neighborhood and next year in Boston and Philadelphia!